This fixed-cost, one-day audit is designed to identify security flaws and licensing issues. On average, clients have used the results of this licensing audit to save 18% from their recurring costs by right-sizing their licensing needs. Once our one-day audit is completed, we’ll meet with your team to go over your results and help you understand how you can address security vulnerabilities and adjust your licensing to meet your needs more efficiently. 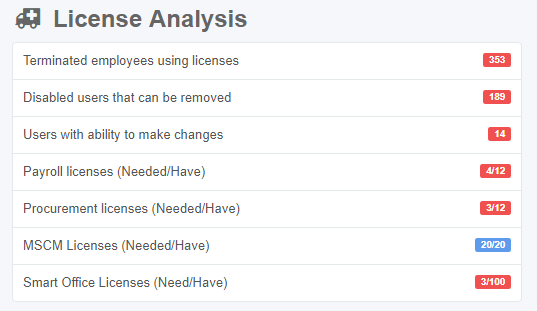 Unused licenses are one of biggest costs of a IT operation. On average, clients have saved 18% from their recurring costs by right-sizing their licensing needs. 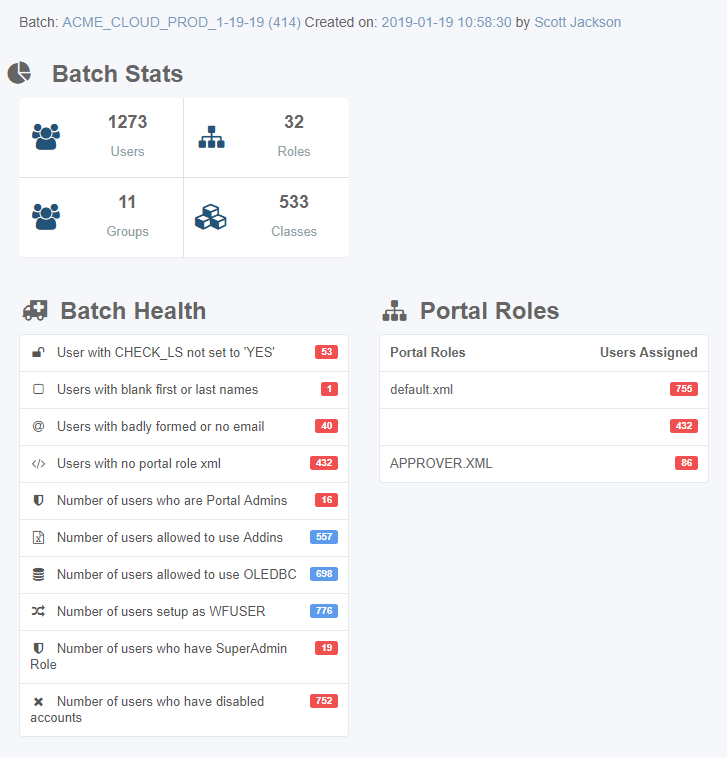 There is a treasure trove of data inside your security setup. This data can be displayed in dozens of different dimensions and can tell you a lot about potential opportunities. In addition to the 19 provided reports, clients can choose two additional custom reports to be generated as part of this one-day audit. As mentioned above, this is a limited time program being offered to Lawson customers and is currently slated to end April 30 2019. Available dates are limited so schedule your audit today.